Thank you, Julia Henry, for creating this ensemble cast of characters. There's nothing simpering about Lilly, who guides the garden lovers. These are strong characters. I anticipate hours of pleasure as I move on to the next book in the series. 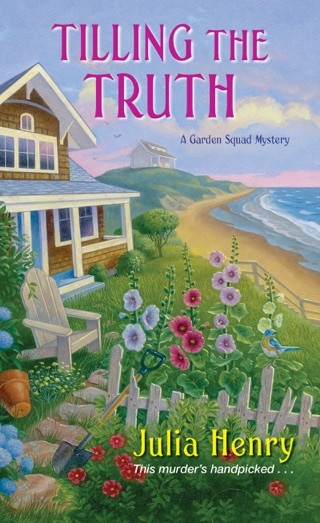 Pruning the Dead is the debut novel in A Garden Squad Mystery series. I appreciated that the author took the time to establish the main character and her sidekicks who compose the Garden Squad. I like the town and most of the residents (there are always a few bad eggs). Lilly comes across as a do-gooder (I am surprised there is not a golden halo shining over her head). Goosebush is a small town that needs a little TLC. Lilly has not been paying attention the last four years as she dealt with her husband’s illness and then grieving for her lost mate. Now, she is aware that things have not been kept up around town and she has plans to rectify it. Unfortunately, Pat French, the town clerk, has numerous rules in place to prevent the simplest task (like pulling weeds and installing plants around the flagpole). Pruning the Dead is nicely written with steady pacing which makes for an easy to read book. The mystery was very straightforward. It is easy to distinguish who would die and who did the deed before the crime had been committed. The why was equally obvious (insert disappointed sigh here). There was repetition of case details as the Lilly and the Garden Squad got together to discuss the case. Also, that Lilly creates order out of chaos was frequently mentioned along with Delia’s researching skills. The friends like to get together to socialize, eat good food, and discuss gardening. The gardening details are not lacking in Pruning the Dead. There are gardening tips at the end of the book. The story could have used more action (less gardening, talking and eating). The pace slowed down when I was a quarter of the way through and did not pick back up until the end. There is a hint that romance may blossom between Lilly and her new neighbor, Roderick Lyden as Lilly rejoins the living and becomes immersed in town matters. I am giving Pruning the Dead 3 out of 5 stars. 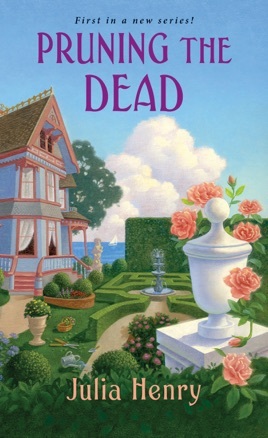 Pruning the Dead is a good start to A Garden Squad Mystery series. I will be reading Tilling the Truth when it releases later this summer.